Calgary, Alta. 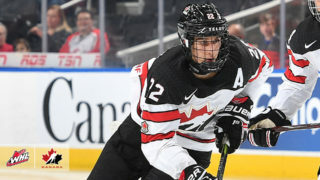 – The Western Hockey League announced today that Pittsburgh Penguins prospect and Moose Jaw Warriors forward Justin Almeida has been named the WHL On the Run Player of the Week for the week ending January 27, 2019. Closing out the team’s biennial road trip through the B.C. Division Tuesday, Almeida delivered a goal and an assist in a 3-2 overtime victory against his former team, the Prince George Cougars. Almeida assisted on Moose Jaw’s first goal, then scored the game-winning goal 30 seconds into overtime. The performance earned Almeida first-star honours for the game and second-star honours for the night in the WHL. Friday against the Edmonton Oil Kings, Almeida had another goal and an assist, aiding the Warriors’ 5-2 win in Alberta’s capital. Almeida netted a short-handed goal and was named the game’s first star. Saturday, Almeida added a pair of goals and an assist as the Warriors wrapped up the road trip with a 3-1 win against the Medicine Hat Tigers. Almeida scored the first and third goals of the game for the Warriors, adding a primary assist on his team’s second goal, earning second-star honours for the evening. Almeida’s seven-point week propelled the Kitimat, B.C. product into a tie for sixth place in WHL scoring this season. Through 42 games, Almeida has totalled 66 points (18G-48A), including six power-play goals, two short-handed goals, and two game-winning goals. 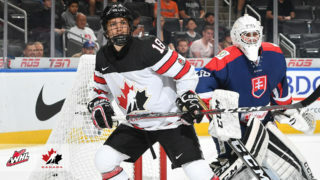 The Pittsburgh Penguins selected Almeida in the fifth round, 129th overall, at the 2018 National Hockey League Draft. 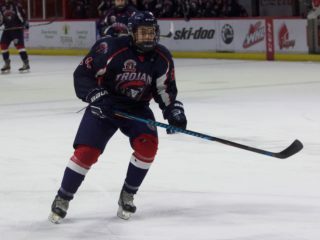 In 234 career WHL regular season games, Almeida has tallied 198 points (74G-124A), including 21 power-play goals, eighth short-handed goals, and 13 game-winning goals. 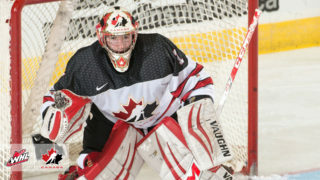 Originally, the Cougars selected the 5-foot-11, 160-pound Almeida fifth overall at the 2014 WHL Bantam Draft.